Very happy with my fresh meat package. 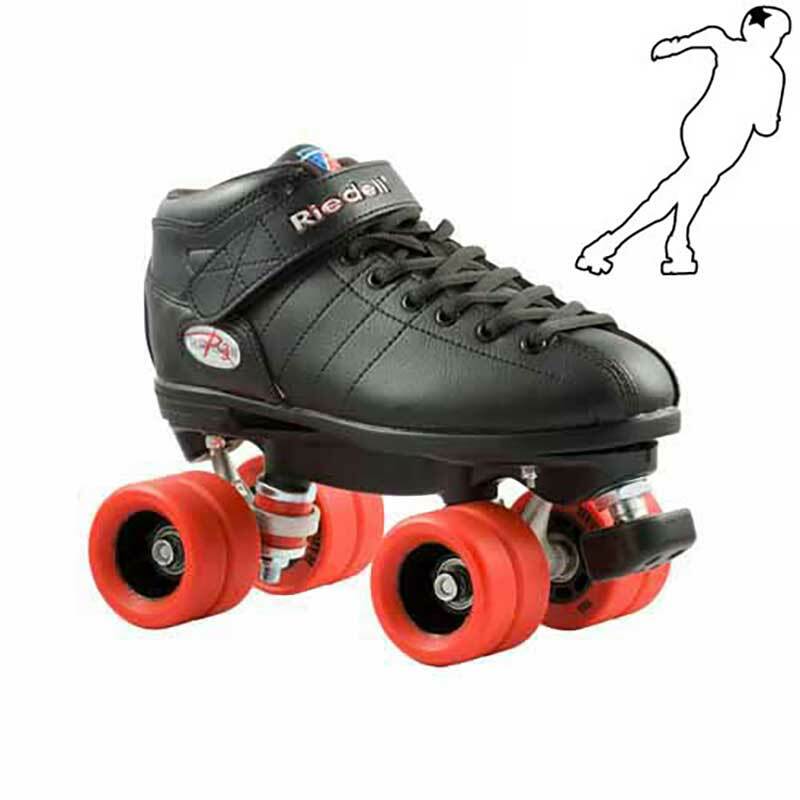 I've only been skating for 5 months but the difference between these skates (plus heartless wheels) and the pair I was borrowing (with super wide wheels) was like night and day. After a week of getting used to a slightly softer, narrower wheel, I was able to improve my 27/5 by two laps on the first try. I'm very impressed with the customer service and speed with which my delivery arrived. The skates and helmet were an excellent fit after I followed the sizing chart. The only piece I had to exchange was the elbow pads as I think I might be proportioned a little differently than the chart. I ended up going up a size in elbow pads. Thanks for helping me get started on my derby adventure! You guys rock! I ordered my skates online and Lisa called me to verify sizing and what she sent was bang on! Super fast shipping. They sent them out Tuesday and I got them Thursday. Tried them out for the first time Friday and and these skates rock. Thanx guys for making it so simple and easy to get the gear without having to go to a store! I just can't say enough great things about Rollergirl!! My Fresh Meat package arrived within six days of my order (and it's significant to note that I live on the opposite coast of Canada). I love, love, love, my new skates and gear. The girls here are extremely knowledgable and have gone above and beyond in the customer service department - and not just when I was making my purchase. When my daughter got a pair of skates as a gift, which unfortunately were not ordered from Rollergirl, these awesome people (thanks Zoe) still took the time to thoroughly troubleshoot an issue we were having with them. I highly recommend, and will be coming back for all my future derby needs. By the way, I NEVER write reviews for anything online, but decided I had to make an exception this one time. I ordered this package a few months ago and have been very happy with it. Being a total newbie to roller derby, I was a little hesitant and wasn't quite sure about sizing and stuff but the staff here at RollerGirl.ca has been AMAZING. Within hours of having ordered my package I got an email and they helped guide me through sizing and were very helpful and answered all of my questions. Everything came quickly and fit very well! This has by far been the best online shopping experience I've ever had!!! I highly recommend this package and company for anyone looking to buy derby gear! Thank you RollerGirl! everything is awesome, the people were so great to deal with, they helped me so much, with sizing and all my questions. thanks again. My package came in less time than it was supposed to, everything was exactly as I ordered it, and I got free stickers and candy! My skates fit perfectly. I am so grateful for the help with sizing that I was given through emails. The responses to all of my questions arrived within a day. My boyfriend also ordered everything but skates and both of us are totally satisfied with rollergirls service and product choices. We made another order for a radar bag, and custom skates for him within the month, and will make many more in the future. Rollergirl is awesome!